What year cluster are you looking for? I have both chrome and black ring gauge sets but want to keep my silver dollar set for my 1970a. I think if you want just a chrome outline for your pod and each gauge surround, they can be painted, see attached photo. I took the rings and glass out and carefully hand painted the rings and pod trim with Tesoro's "aluminium model" paint. Looks as good as new. The hard part is cleaning up the gauge face plates under the glass. BTW I am missing the silver dollar face plate for the temperature/fuel gauge, if you hear of one, please let me know. 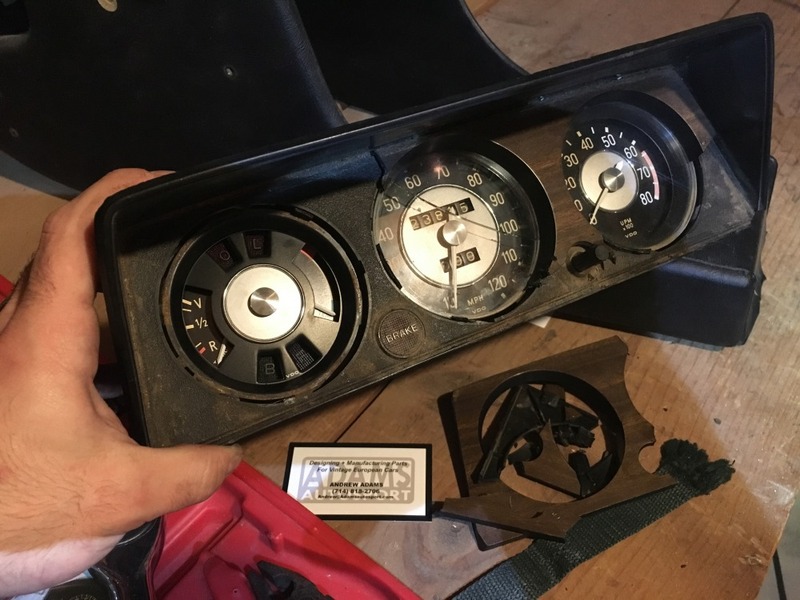 I too am looking to bring my April 1970 gauge cluster back to original appearance. Oddly, it has silver dollars, no chrome rings, and a faux wood veneer. I have read on other threads that you can either paint the wood matte black or remove the veneer with some kind of solution. I’m not sure what to do about the chrome rings though. Any advice would be appreciated! 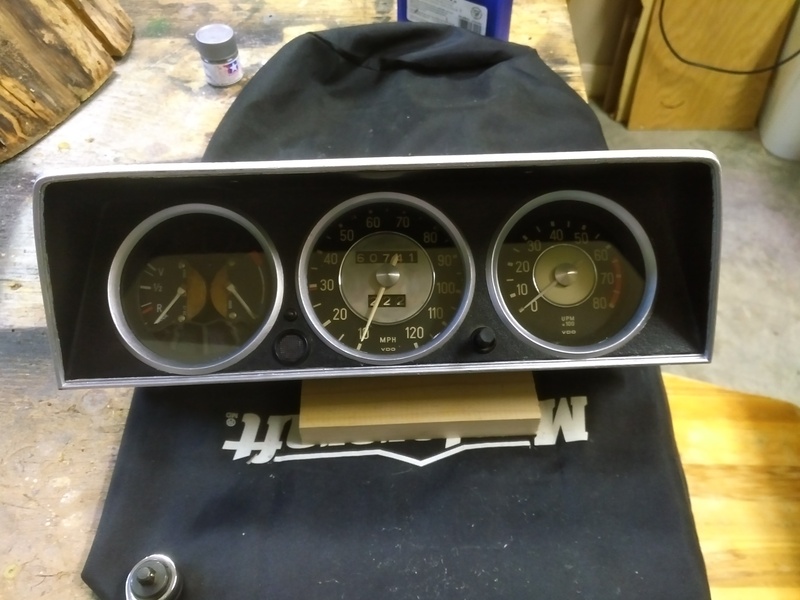 Here is what my silver dollar gauges look like. The chrome rings are model paint applied to the plastic retaining rings which secure the glass. The same paint was applied to the outline of the cluster (this simply refreshed the original look). The model paint was called "aluminum" . For the original poster, from your name, I am assuming that you have a 74 2002. If that is the case, you have a faux wood cluster. There are some after market rings that fit into the faux wood 9 just a press in set up ) that look quite nice If you do a search on here you can see them. I have a set of those for sale brand new. If you dont have a 74, then it will be important to know what year that you have. Adrian, the wood veneer "snaps" on over the original face. You can remove it and you will have the correct face (plastic trim-removal tools make short work of this). You will need the three original rings as well. **to understand it a bit more, the original rings had clips for the glass/inner-rings. Since the later wood face did away with the original rings, BMW integrated the clips into the wood veneer directly. Thanks @AceAndrew and others. So it looks like I DO a need to source the rings and not just buy some aluminum model paint. Any further suggestions or leads would be appreciated. @TMK_74_2002A just picked up a set, thank you! 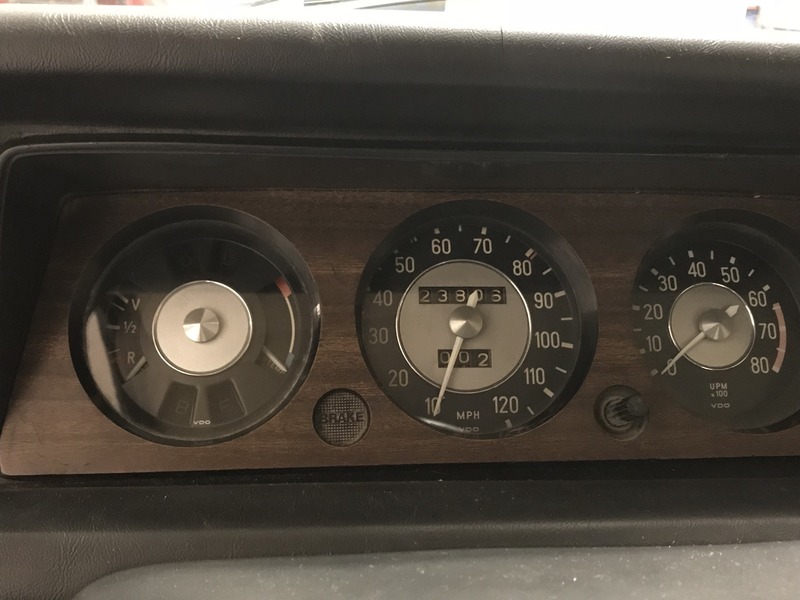 Doesn’t seem like they have the trim that surrounds the entire gauge cluster area though. Maybe that can just be painted on. 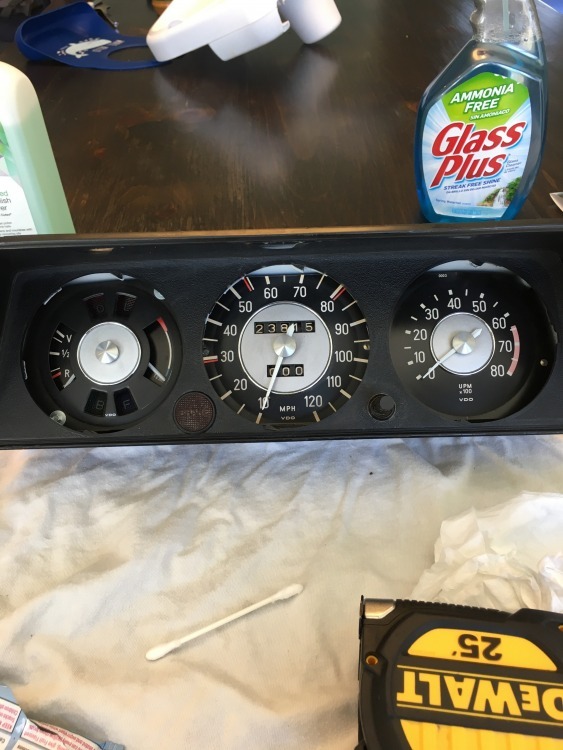 So uh, little update: as I was prying off the faux wood, I cracked the glass covering the speedo. Luckily i was able to avoid cracking the other two. A half hour of pretty concerted searching for replacement glass hasn’t yielded me any leads. Any ideas? I do have a couple standard pieces of glass, be happy to send one for the cost of shipping. @AceAndrew you are such a gentleman and a scholar that I can’t thank you enough. I will email you. Thank you thank you.